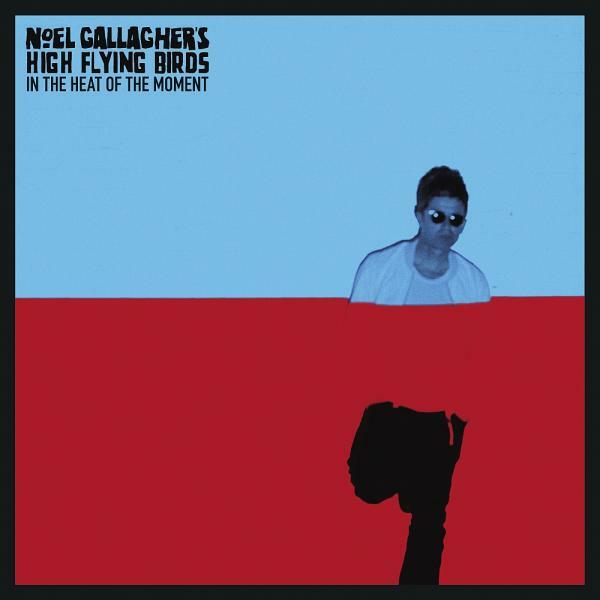 Written and produced by Gallagher, “In the Heat of the Moment” was the last song to be recorded for Chasing Yesterday. It is said to be “inspired by a documentary featuring an astronaut who likened going into space for the first time to ‘touching the face of God'”. Spin described the track as follows: “[It] is a subtly layered track, but its steady beat imbues it with a certain amount of tension – fitting, since it’s about a journey into space – and the few odd bell chimes amid the guitars invoke a subtle sense of otherworldliness.” The song was revealed on 13 October 2014, shortly after the initial announcement of the new album and tour dates. Released on 23 October 2014, the music video for “In the Heat of the Moment” was directed by Ollie Murray. The style of the video has been compared to that of a number of Oasis songs, including “The Shock of the Lightning” by website PopMatters, and the United States version of “Live Forever” by magazine Spin, who described it as a “hazy, washed-out clip”. The B-side, “Do the Damage” also received a music video on 25 November 2014. It sees Noel observing a roller skate rivalry, and features Katrine De Candole who starred in the video for the Oasis song “Lyla”.